How do we choose what goes into our gluten free hampers? Because gluten free doesn’t mean taste free. 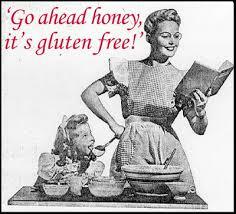 Gluten is the protein component found in wheat, rye, oats and barley. It gives elasticity, strength and the ability to ‘hold’ food products together. These properties have made gluten a popular ingredient in the manufacturing of a wide number of food items and commercial products. How do you avoid gluten? Avoiding gluten can be hard as it is widely used in commercially manufactured, ready-made foods. But eating gluten-free doesn’t have to mean brick-like-bread, dry flaky pastries or gritty gluten-free crackers, nor does it mean sacrificing good nutrition and tasty food. Fortunately there are now a wide range of gluten-free products available. Being able to read labels and ingredient lists to recognise gluten in its many guises is certainly advantageous. ‘Hidden’ gluten may be in processed meats, dry roasted nuts, marinades, soy sauce, condiments, malt, spice mixes and more. The Coeliac UK website has a trusted food and drink directory for members along with other useful advice on living gluten-free. So what do we include in our hampers? We work hard to source the highest quality gluten free foods for our gift hampers and they must appeal to at least one of the six senses – eyes, ears, smell, taste, touch and of course, common sense. That’s why we try to work with producers who develop their foods in close relationship with gluten free groups and nutritionists. 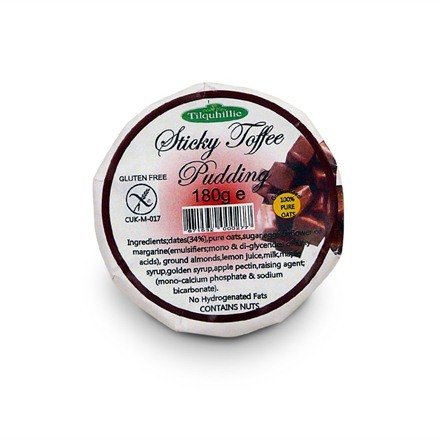 Take the scrumptious Tilguhillie Sticky Toffee Pudding which is gluten free, wheat free and soya free too. Tilquhillie Fine Food’s dedicated bakery has ten years’ experience specialising in safe oats for coeliacs. Their cakes and biscuits are simply delicious – sticky, moist and bursting with fruity sweetness. 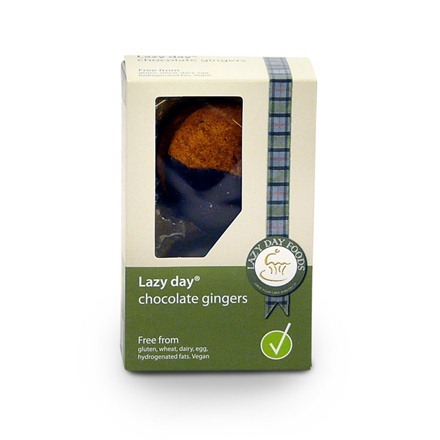 If biscuits are more to your liking, try Lazy Days Ginger Snaps. Their Belgian Dark Chocolate dipped Ginger Snaps give the plain snap an edge of luxury. Best of all they are gluten, wheat, dairy and egg free. 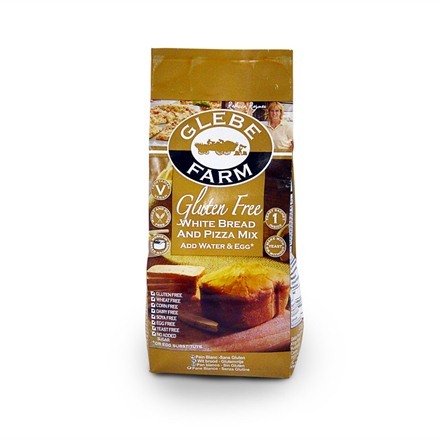 And for all those times you just fancy pizza, whip up the best gluten free pizza bases with Glebe Farm White Bread and Pizza Mix. Just add water and egg. So there are a few of our tasty picks. What are yours? Let us know in the comments below. < Previous The one where The Great British Bake Off went gluten free!